Students should be the ones to motivate other students . The Student Inspiration Project empowers them to do so. Lack of motivation and enthusiasm for school is directly related to poor school performance and low graduation rates. 69% of Michigan students tell us that they are not fully motivated to learn. They are not convinced that the content being taught in school is meaningful. Current ways of delivering content do not motivate them to engage in the classroom. 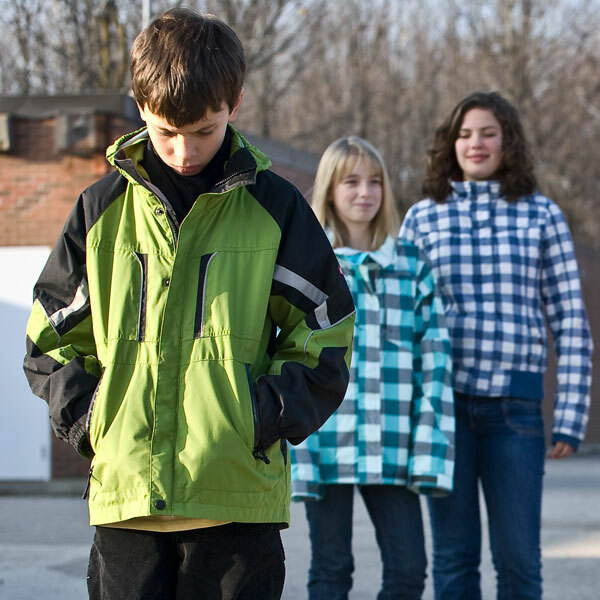 Academic achievement and classroom participation put their standing with their peers at risk. In order to improve our schools, inspire our students to learn and achieve more, we have to understand what motivates them. Education initiatives—no matter how well planned or executed—risk falling short of their goals without student buy-in and commitment to learning. Helps students to discover that they are not alone in their desire to learn. Shows students the positive aspects of learning and achievement. Gives students a say in what and how they learn. Today’s youth are the most empowered generation ever, having control over the choices they make as young consumers, how they spend their time, and how much effort to put into school – we need to give them a forum to express themselves and make their thoughts on school and learning known. The Student Inspiration Project is the only one of its kind in Michigan. It was designed on behalf of the Michigan Department of Education (MDE) to leverage private funds to inspire and motivate children in grades four through eight to commit to and more fully engage with their own education. As a grassroots initiative, the Student Inspiration Project relies on the support of Foundations, Businesses, and individuals to support its programs and projects. Donations to the Michigan Student Inspiration Project can be made via the Library of Michigan Foundation, a 501 (c) (3) nonprofit, public charity governed by an independent Board of Directors. The Foundation provides opportunities for charitable giving to benefit, among other things, special programs and projects otherwise not provided through state or federal funding. STUDENTS TOLD US IT'S OK TO GIVE THEMSELVES A “PASS." A majority believe it is ok to say they are not good in a subject because “some kids just don’t get” that subject. For example 62% of children agree that its okay to say “I’m not good in science” because some kids just don’t get science. 62% also say this is true for math and 59% say that its okay to say “I'm not good at reading” because some kids struggle with reading. STUDENTS TOLD US THEY ARE NOT CONVINCED THAT THE CONTENT BEING TAUGHT IN SCHOOL IS MEANINGFUL. 92% say having an understanding of why they are asked to learn certain things is “very important to student success,” yet only 44% say this describes their school “very well.” And 66% of Michigan students surveyed believe that schools focus too much on memorization and not enough on thinking. STUDENTS TOLD US THAT THE WAY CONTENT IS DELIVERED IN THE CLASSROOM FALLS SHORT. A majority say technology would be helpful in accomplishing making learning more fun (65%), allowing them to work at their own speed (63%) and/or learn outside of the classroom through videos or online lessons (59%). STUDENTS TOLD US THAT ACADEMIC ACHIEVEMENT AND CLASSROOM ENGAGEMENT CAN PUT SOCIAL STANDING AT RISK. 52% say that trying to do well is a reason some kids get made fun of at their school and 36% worry what their friends might think of them if they were to participate in class often. And when it comes to asking for help. 50% say that they strongly agree that it is important to ask teachers for help, but only 38% think their friends feel the same way. "At my school, there's criticism from other students to those who do well and try." "They need to listen to the students more. Most of the teachers don’t care what we have to say." The “Almost Worst Ideas” integrated messaging campaign will speak to early adolescents across the state--in both urban and rural areas and socio-economically disadvantaged communities--wherever they engage with one another: on the web, in school and at home. 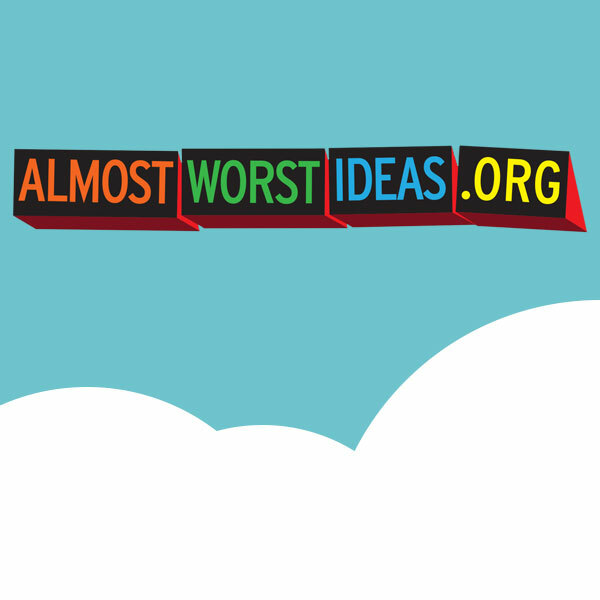 The “Almost Worst Ideas” website will feature “Almost Worst Ideas” – like taking a selfie with a skunk or trying to run in flippers – that are selected from student submissions, as well as ideas and experiences from well known celebrities. Kids will vote on “Almost Worst Ideas” submissions. Winning submissions will be rewarded and posted. Schools and teachers across the state can opt-in to join the program and, along with posters, will be provided reward stickers that contain codes for exclusive website content or power ups for the integrated game app. The game app will feature “Almost Worst Ideas” scenarios that end with the message “There’s nothing worse than blowing off school” and can be played on personal devices as well as home laptops and computers. At home support will include t-shirts, communication from school, bumper stickers and magnets. The entire local education community at participating schools will also be included in the “Almost Worst Ideas” campaign through ongoing communication with teachers, schools, districts and parents that includes conferences, webinars and social media sites geared to parents and teachers. 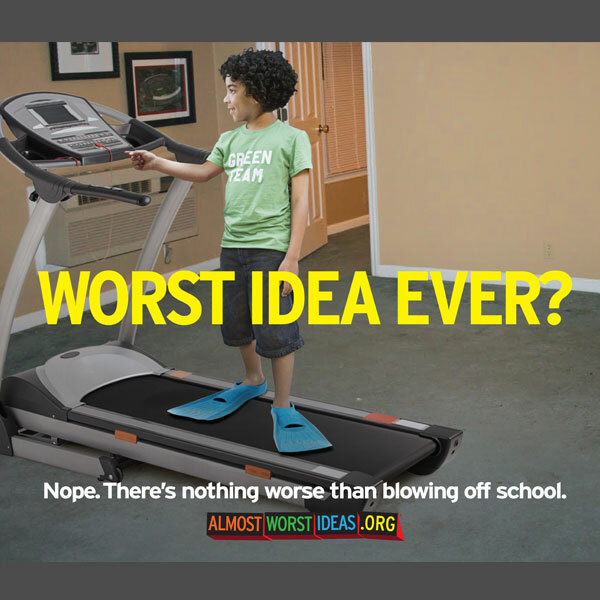 HOW DO WE KNOW KIDS WILL GET THE “ALMOST WORST IDEAS” CAMPAIGN? The “Almost Worst Ideas” campaign was developed with the help of nearly 90 Michigan students who gave advice and program feedback in the spring and summer of 2014. The campaign was then tested via online survey among 220 Michigan 4th-8th graders in the fall of 2014. Almost 60% said they would vote on the funniest videos and play the game app, try to earn a reward sticker, and vote on the best ideas. More than half of students said they would tell their friends about the game app, check out the website, and tell their teachers about the reward stickers and codes. It has a great message with humor. Kids should pay attention to this because they can share ideas no one else may think of. I'd like to come up with a funny worst idea! I think this is a great idea for kids my son age and older most kids think it's cool to skip school. “Almost Worst Ideas” campaign launch in targeted media areas in Michigan. Any school can opt-in to be included. 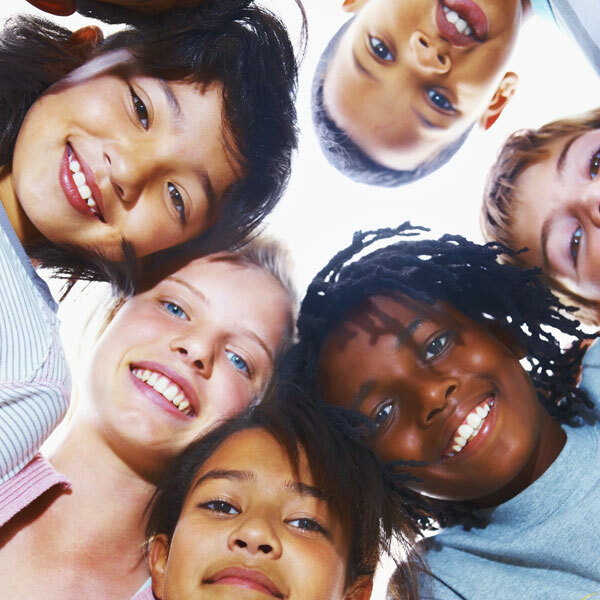 Expand to all elementary/middle schools in Michigan. Continue all year 1 activities with fresh and engaging content. Sponsor “student voice forums” to promote the voices of students in school improvement and achievement initiatives. The campaign will be measured using multiple metrics so educators, parents, policy makers and contributors can see the success and impact of their participation. CONTRIBUTE TO THE SUCCESS OF THE MICHIGAN STUDENT INSPIRATION PROJECT AND THE “ALMOST WORST IDEAS” CAMPAIGN. Custom presentations and webinars for your colleagues can be arranged by contacting Kristen at KRISTEN.HARMELING@YOUGOV.COM. Monetary and in-kind donations are gladly accepted, sponsorship opportunities are available. * The Library of Michigan Foundation is a*501 ©(3) nonprofit, public charity governed by an independent Board of Directors and housed within the Michigan Department of Education. The Foundation provides opportunities for charitable giving to benefit, among other things, special programs and projects otherwise not provided through state or federal funding. Fast Forward video 35 min. 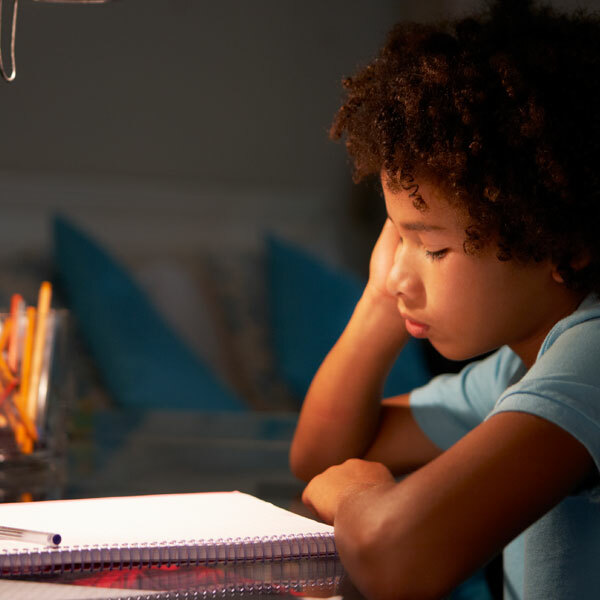 Research on why students are disengaged from school and what can be done about it was conducted with close to 3,000 Michigan students and parents, 1,000 Michigan teachers, 325 principals and 50 superintendents. The findings from this research resulted in the development of the Michigan Student Inspiration Project and programs for improving the educational experience and achievement of Michigan students in grades 4 through 8. Click here to download the project’s foundation document. 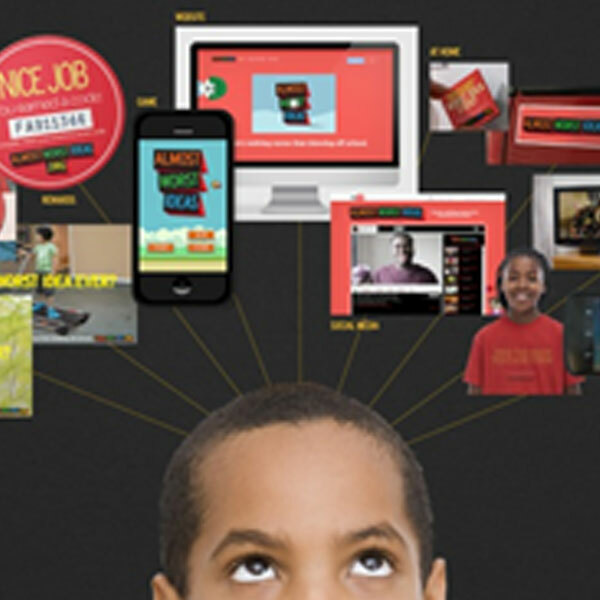 The Michigan Department of Education (MDE) Office of Educational Improvement and Innovation, Michigan State University (MSU) Department of K-12 Outreach, YouGov, a global research and consulting firm, and Leo Burnett, the advertising company, as well as other key stakeholders, make up the project team for the Michigan Student Inspiration Project. With the initial research phase now complete, the Michigan Student Inspiration Project is ready to launch its first program, “Almost Worst Ideas”. 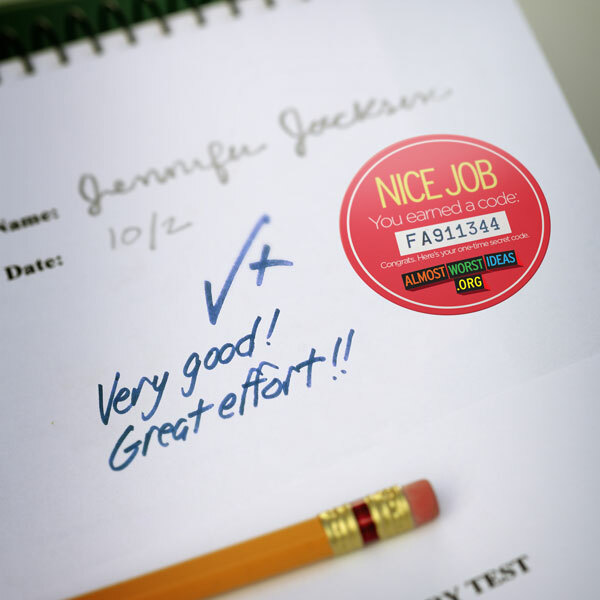 Designed by Leo Burnett, from their Troy, Michigan offices, “Almost Worst Ideas” is a messaging campaign that puts kids in the spotlight as creators and participants. Using the staples of adolescent vocabulary, humor and exaggeration, ”Almost Worst Ideas” features kids reinforcing the message that there is nothing worse than not giving your full commitment to school.